Redeemer Montessori School is offering 6 week sessions to help new and expecting parents. Come learn Montessori activities and principles that can help you support each aspect of your baby’s whole development. Being a parent of an infant is a very special time in a family’s life. It is one of the most joyful times and also one of the most challenging times. There is a wealth of information but it is all coming so fast. Most parents take “Birthing Classes” to be prepared for the birth arrival. What about after the birth? This is a class to support to parents and infants through the first 18 months of the child’s life. Researchers now know that growth and development of a child under three occurs at the fastest rate than at any other time of a human’s life. Many parents wish for an instruction manual for each child. 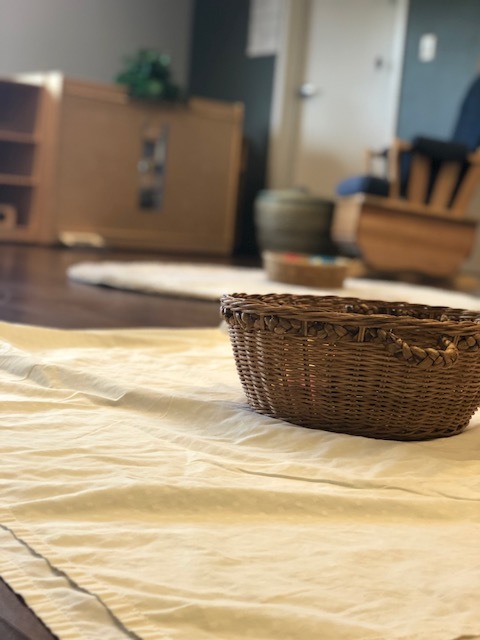 The Montessori Method offers a wonderful method filled with tools and strategies that foster and support healthy growth and development during this critical time. This class is designed to explore those tools and strategies and guide each parents and infant to healthy relationships. Join us in our beautifully prepared infant environment for weekly classes. We will learn and observe how infants progress in movement and language. We will discover ways to build and encourage attachment. Sleeping, eating and routines for optimal development will be covered and so much more.